Today the iPad App Store opened up, revealing a great many iPad launch titles to those itching to see what they’ll be loading onto their iPads when they arrive on Saturday. The amount of iPad app news this has generated today has us feeling as if we’re standing in the middle of a tornado, admittedly. And so, without a great deal of rhyme or reason, I’ve chosen a few iPad games, now in the App Store, to highlight, the only real criterion being that they’re titles we’ve not recently covered and are ones that I’m personally anxious to get my hands on. 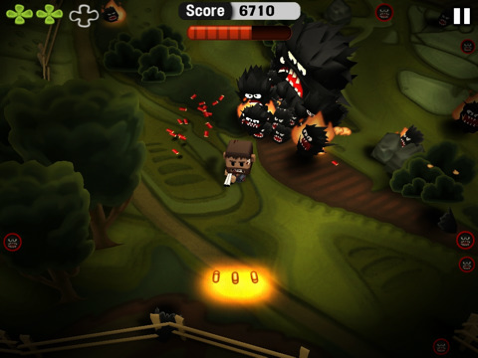 The iPad adaptation of Minigore sounds better than ever with 14 playable characters, “guest stars" from Hook Champ, Zombieville USA, Sway, and Envrio-Bear 2010, and redone graphics to take full advantage of the iPad’s screen acreage. 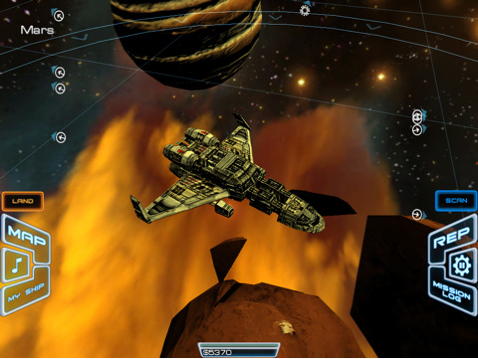 Freeverse’s real-time strategy title Warpgate is here for the iPad, but not yet for the iPhone. Who would’ve guessed? (The iPhone version should be making its debut any day now.) All that we’ve seen indicates that this is a RTS title not to be missed. 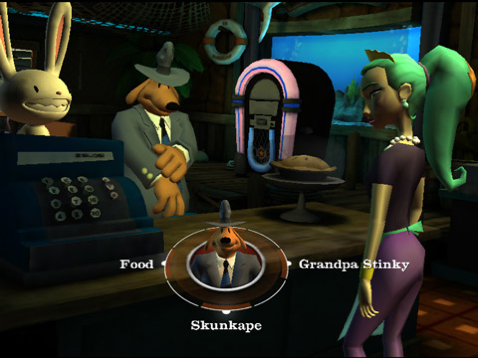 Inspired by Steve Purcell’s comic series Sam & Max, Lucas Arts in 1993 released the SCUMM-based adventure Sam & Max Hit the Road to much critical acclaim. Sequels followed and the odd, starring duo gathered something of a cult following. Those in the cult will be happy to see the just-released iPad title from Telltale Games, Sam & Max Episode 1: The Penal Zone. We recently posted about Mirror’s Edge for the iPad, but at the time, it was to be a $14.99 title. While still premium, it seems to have made its debut at $12.99 — just a shade less dear. This bundle of zombie smackdown is the most expensive game on our list, but it does look like fun. 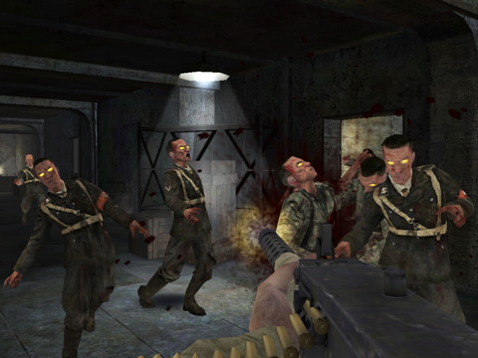 Bigger screen = more menacing zombies. Fieldrunners. Everyone’s favorite tower defense game. Well, my favorite, anyway. And it’s here in full-screen iPad glory. Touchgrind is a highly unique iPhone skateboarding game. Skateboarding for your fingers, really. But the one limitation? Screen size. The iPad version should have no such limitation. Ocean Blue falls under the Entertainment category — it’s not really a game. But it looks pretty fun. It has the distinction of being “the first realistic diving experience on the iPad." We’re anxious to check it out. Use your iPad as the Scrabble board and connect wirelessly from your iPhone or iPod touch to use it as a private tile rack while you are playing Scrabble. Imangi has produced an HD version of their chaos management game and is giving it away for Free. There are plenty more announcements, screenshots and info about upcoming iPad games in our dedicated forum. It’s hard to track everything that’s happening in the App Store right now. This is going to be a rather insane weekend for everyone connected with the iPad. Don’t worry, our usual iPhone and iPod Touch game coverage will also resume but over the next week there’s going to be a lot of news and attention on the iPad.